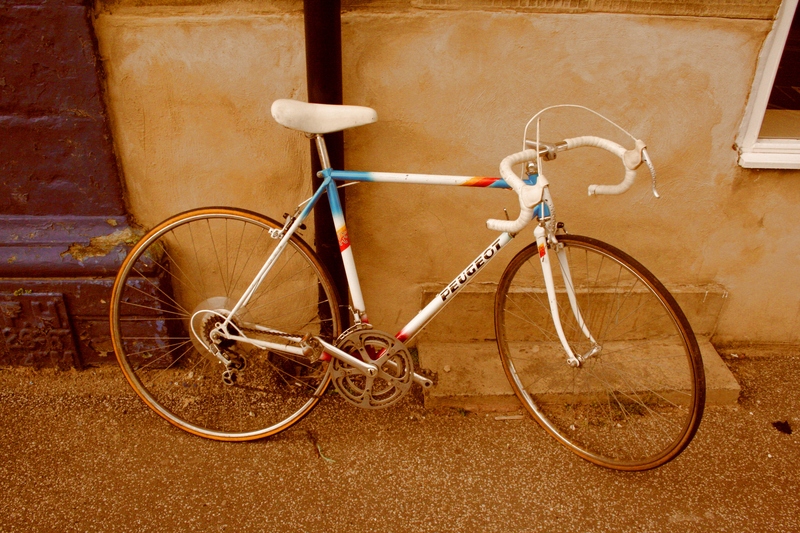 For sale, a retro men’s 1980′s Peugeot PX-10 road racing bicycle, handmade in France with Weinmann brakes and Shimano 12 speed gears. 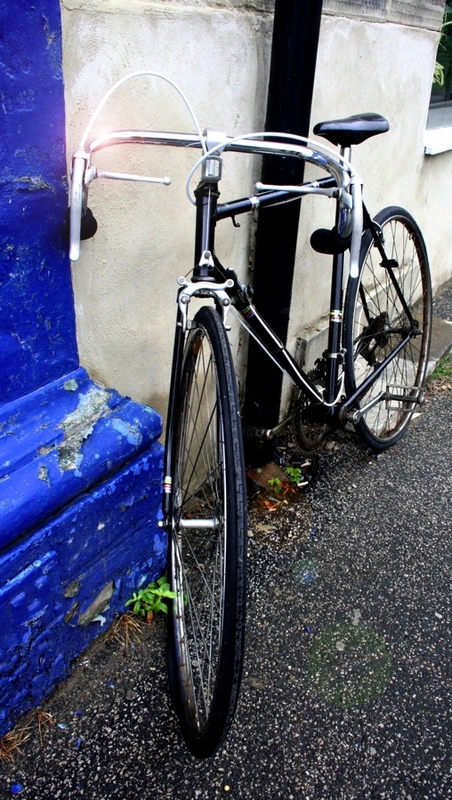 Frame is Reynolds 531 c-t-c steel. 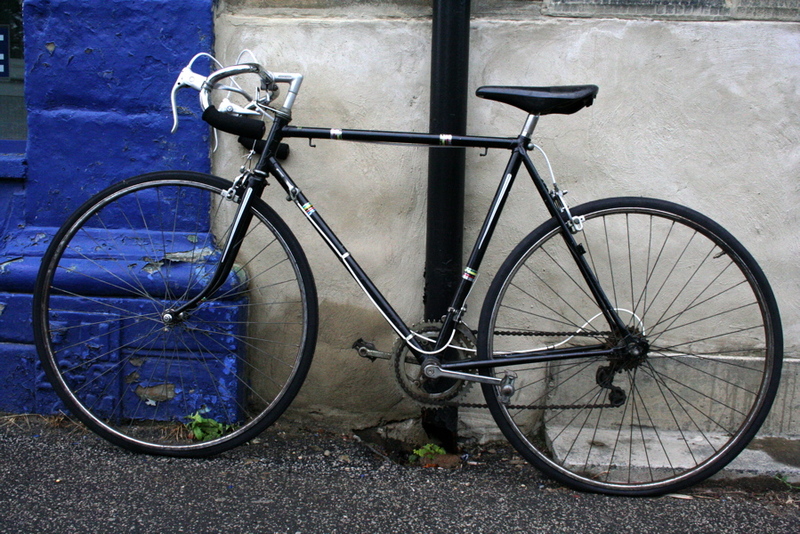 A classic lightweight. 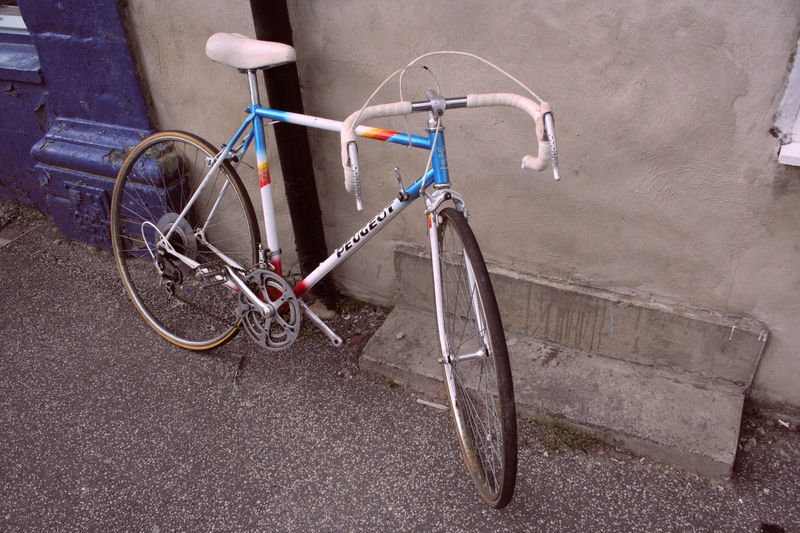 After the first Tour de France win, the Peugeot cycling team remained active in the Tour and other European cycle races. 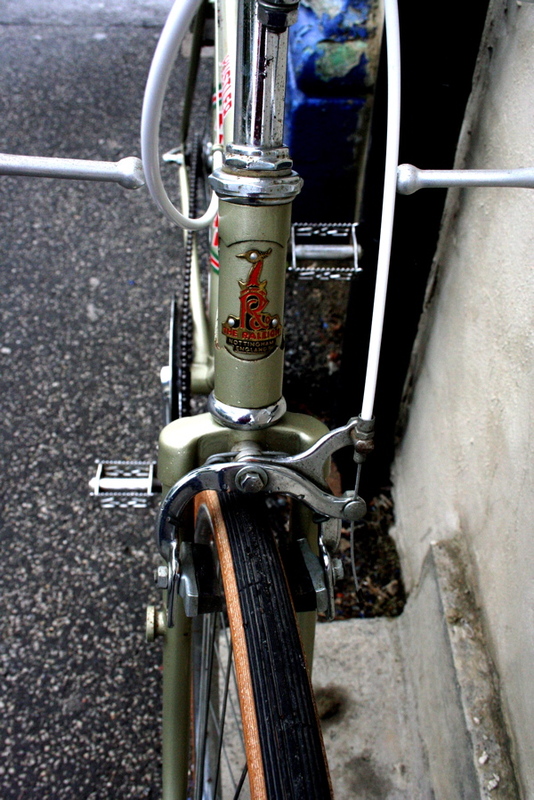 Peugeot would go on to become the most successful factory team of all time in the Tour de France, winning the race a record ten times. 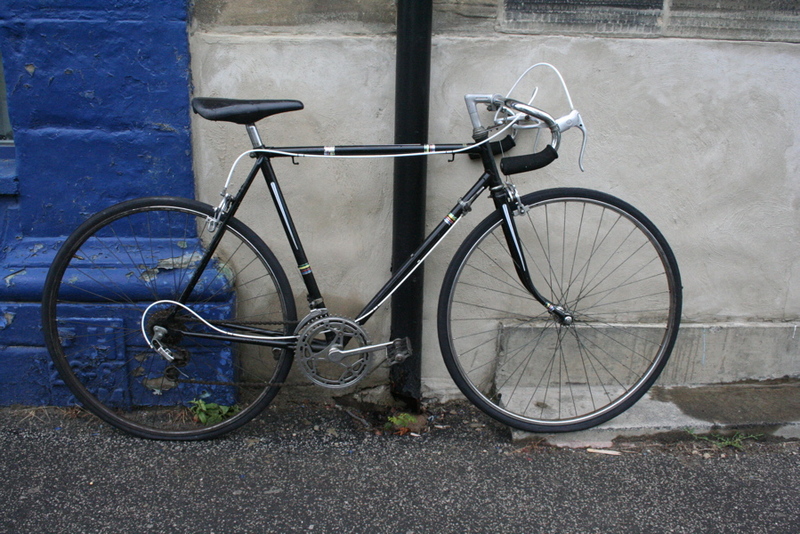 First introduced as a model in 1953, the PX-10 was traditionally one of Peugeot’s high-end bicycles. 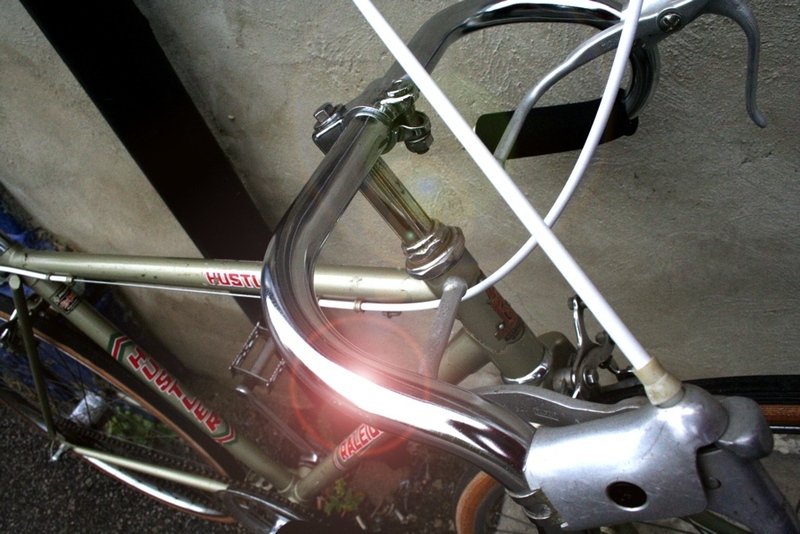 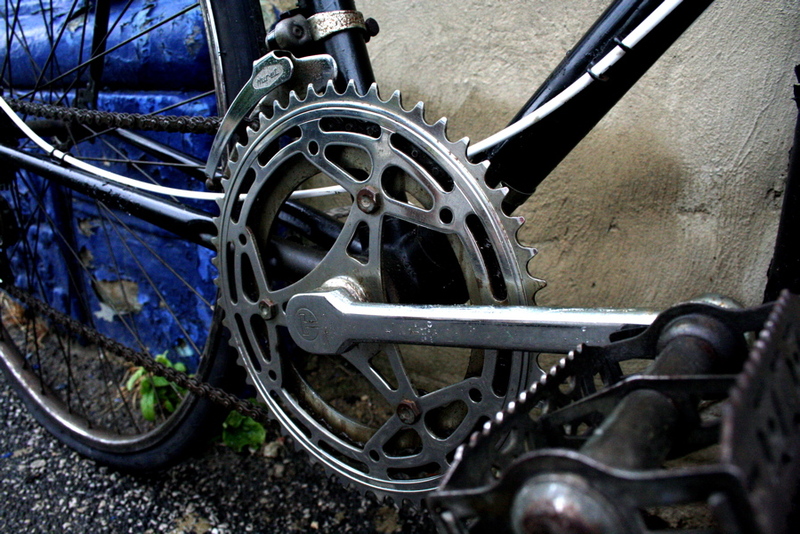 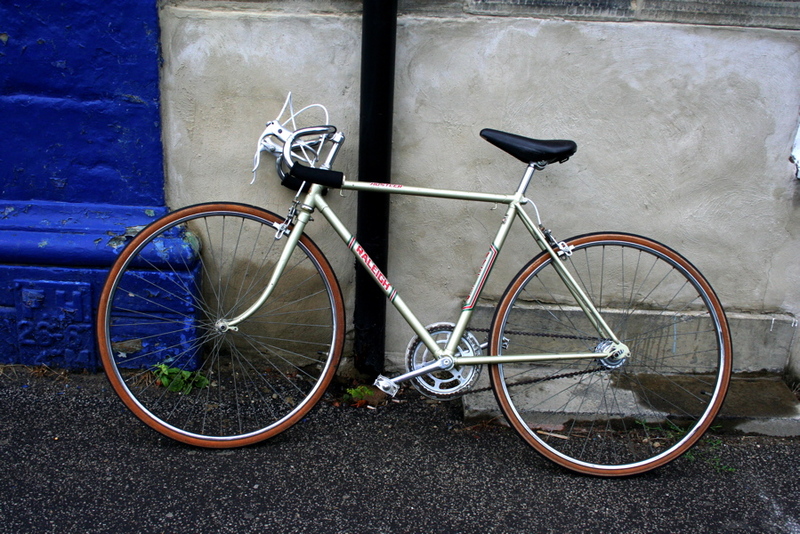 By the early 1970s, the PX-10 used a frame made with Reynolds 531 chromoly steel tubing and was fitted with lightweight aluminium alloy components. 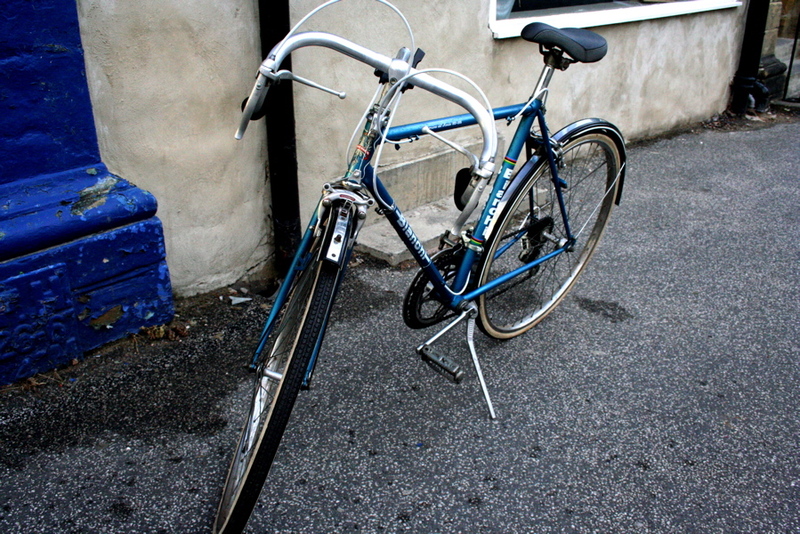 The PX-10 was sold in the U.S. from 1975 to 1980 but it continued to be produced for sale in European markets through 1986. 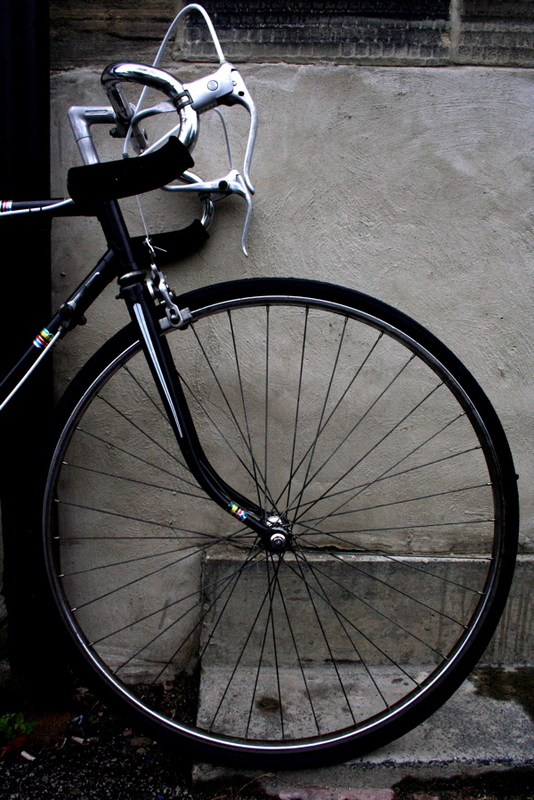 A fantastic cycle, ideal for racing, touring and commuting. 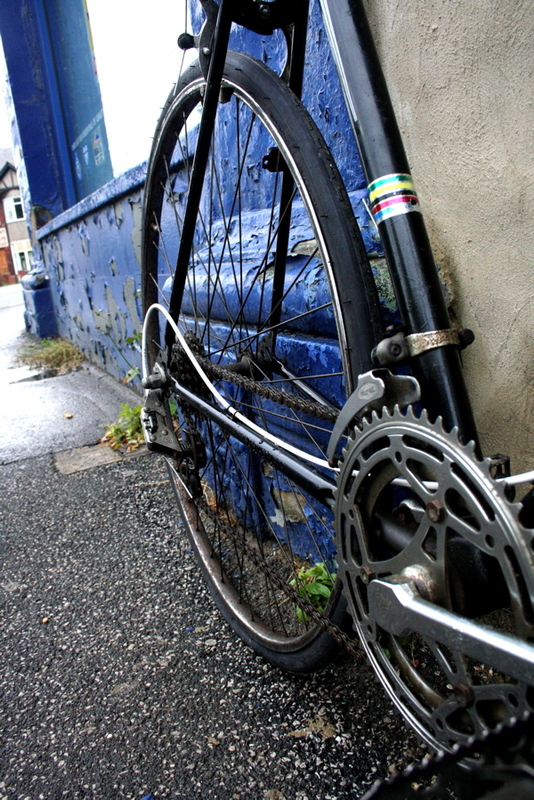 Will be sad to see it go! 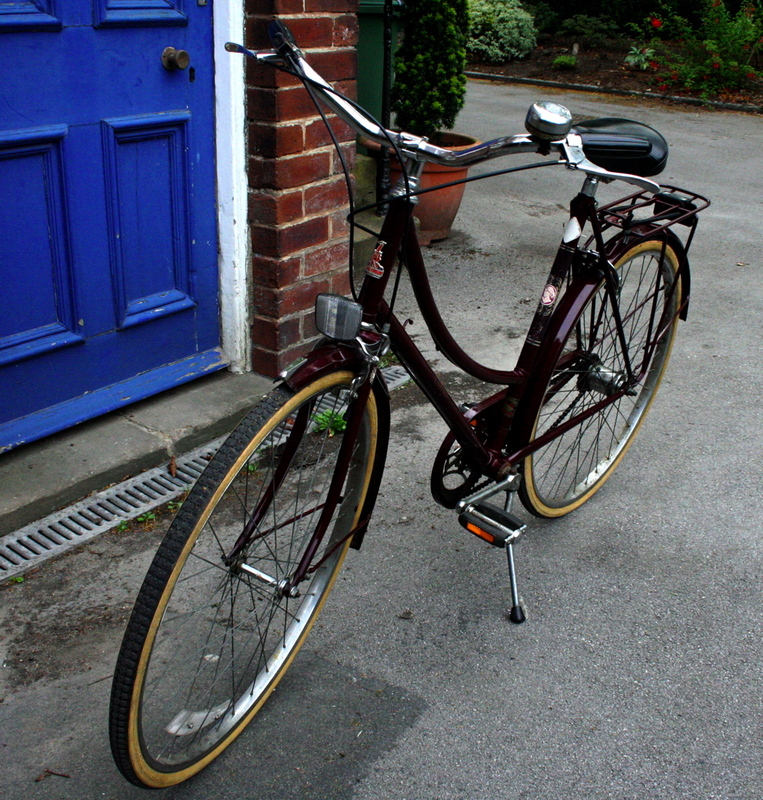 A beautiful 1970s Ladies Raleigh Cameo in burgundy. 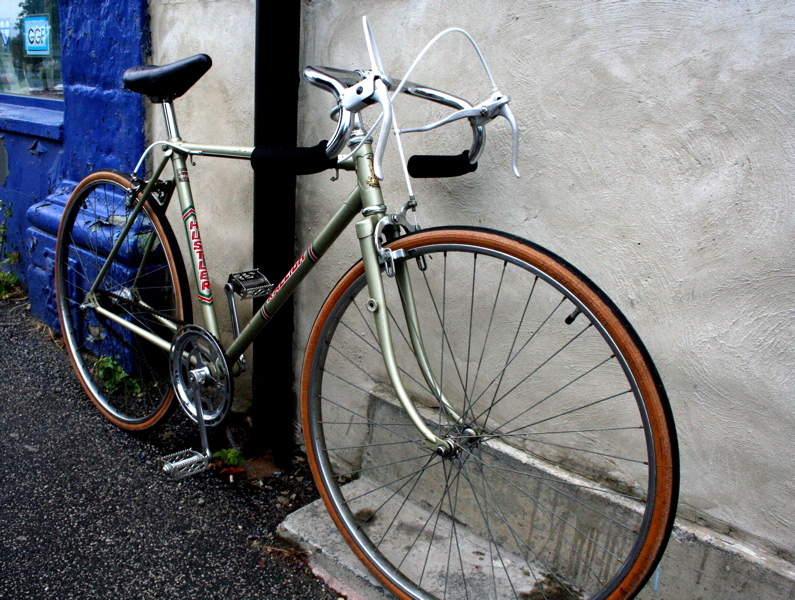 Handmade in England with an Archey Sturmer 3 Speed gear hub and wheel arches. 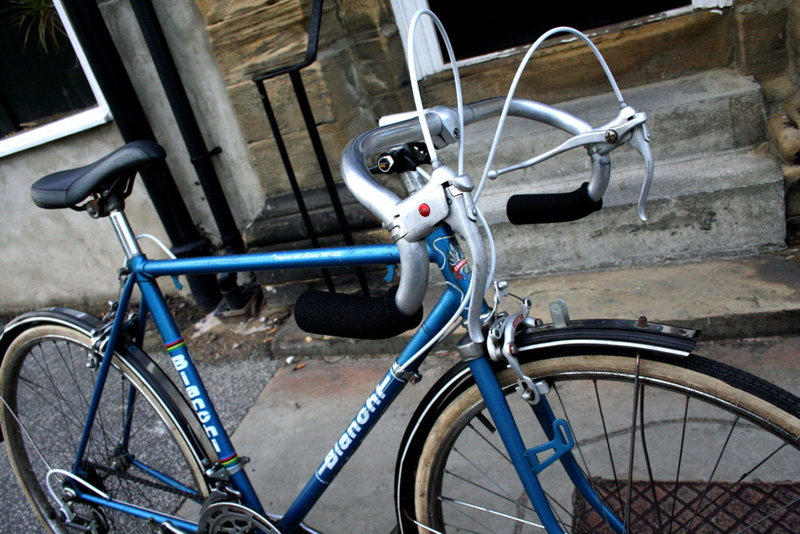 Completely original condition and specification. 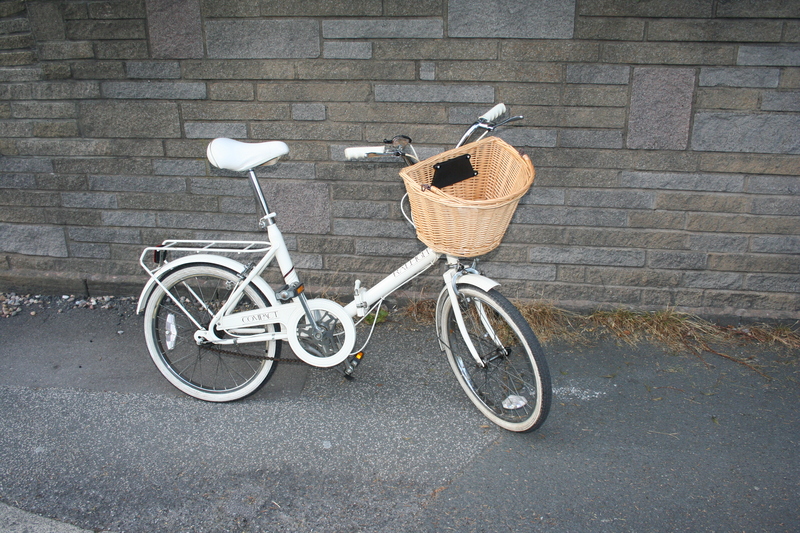 Cycle comes with an attractive retro wicker picnic hamper mounted on the pannier. 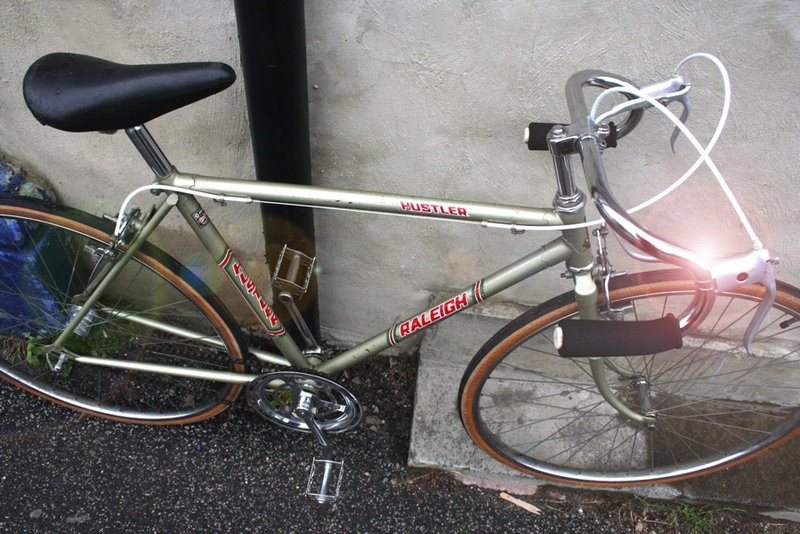 This vintage cycle is in incredible condition – it must have been ridden only a handful of times in the past 40 years. 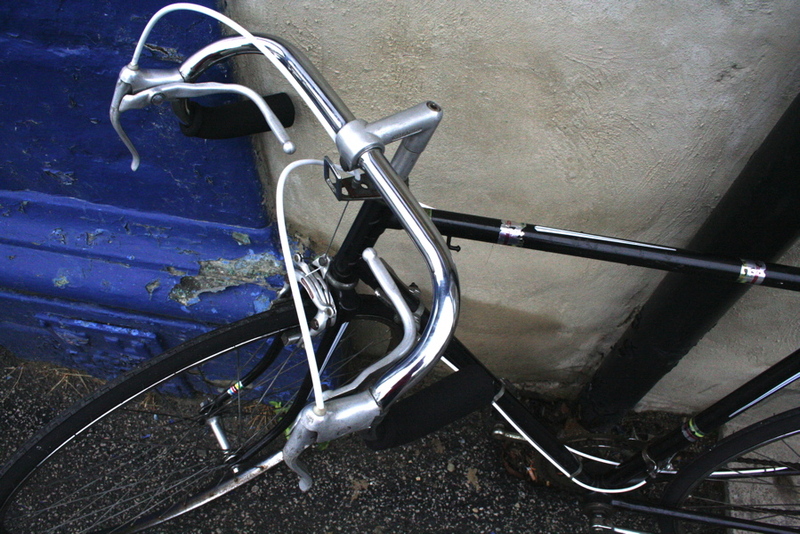 Only a couple of surface scratches here and there. 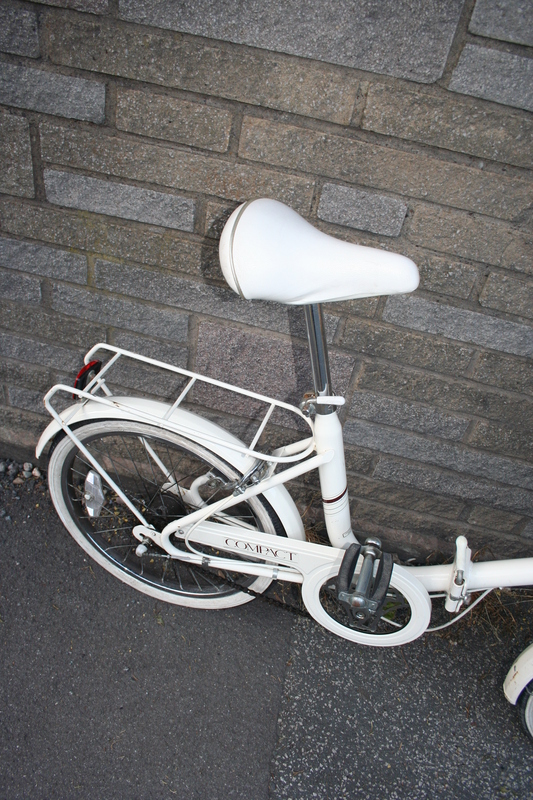 Tyres, sitting position, suspension seat, chrome bell and kick stand make this the perfect cycle for town. 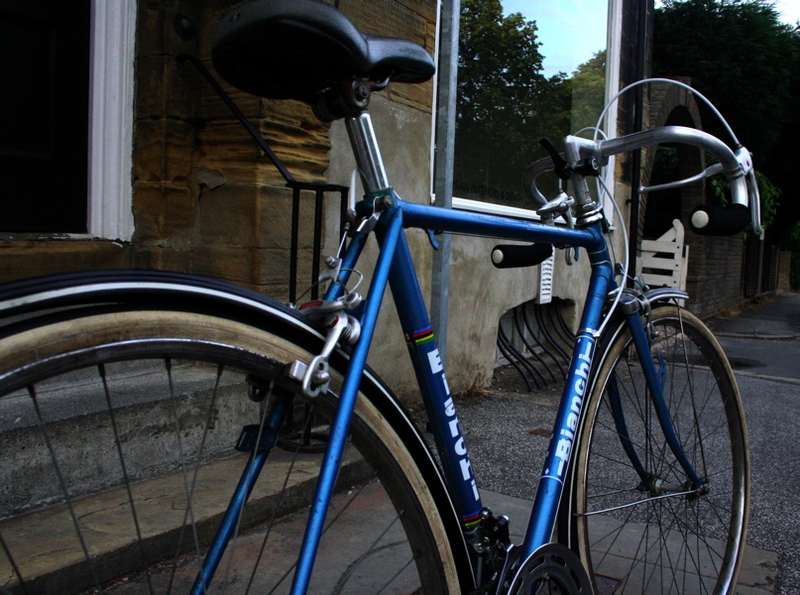 Collection in person from Leeds, West Yorkshire or a courier can be arranged nationally for an additional £21. 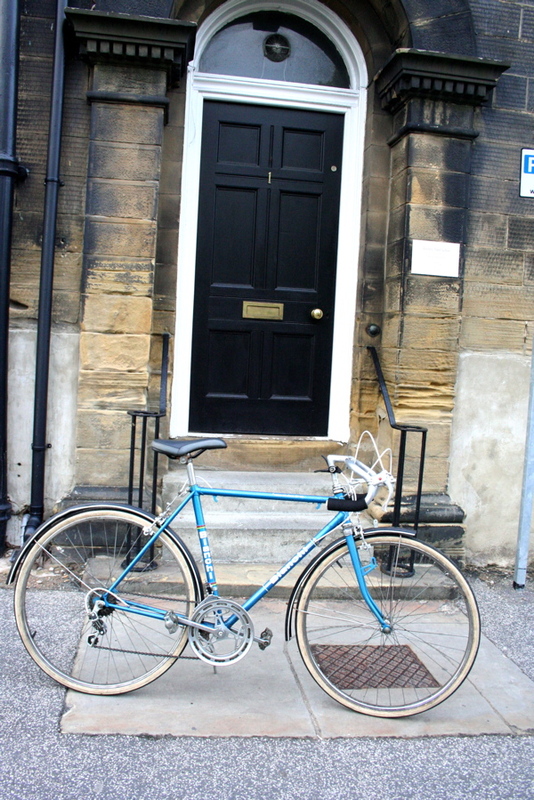 No returns, viewing can be arranged first if required.